We’d love your help. 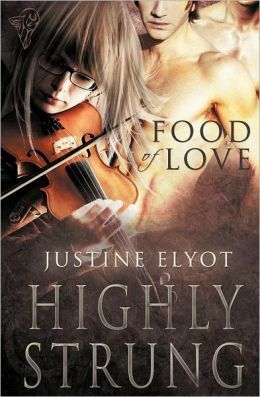 Let us know what’s wrong with this preview of Highly Strung by Justine Elyot. To ask other readers questions about Highly Strung, please sign up. Milan and Lydia's story is somewhat jumbled. You start with Milan causing issues for the orchestra that they both work for. He wants something and in order to achieve his goal, he is just a bully and has very toddler like behavior. He is also very free with his sexuality and because of that, he has a lot of partners. Then you have Milan's long time lover, Evgeny and the new interest for Lydia, Mary-Ann. Evgeny was so whiny and immature - he was petty and horrible. Not only did I hate him, I thought that he detracted from the story without really adding much. Then you have Mary-Ann and she also seemed like an afterthought - she didn't really add substance to the story. This should have more reviews! It's a perfectly angsty, musically-inspired erotica. Not for the faint of heart or those irritated by romantic drama. The plot is fun and a bit twisted. I did feel at times like I didn't full understand or get the connection or reason behind Milan's actions. However, I did get part of the attraction and desire between the main characters. I don't know at the end of the book that I would particularily want to know more about the characters as I was just at a meh point since it all seemed a bit rushed and disconnected from the bui I really liked this book and the inclusion of the world of being a concert violinist. I don't know at the end of the book that I would particularily want to know more about the characters as I was just at a meh point since it all seemed a bit rushed and disconnected from the build up to that point. There are certainly some decent naughty scenes in the book, but not as hot as some others I've read.